Bhubaneswar, Sep 18: In a historic achievement, debutant Golfer Lakhi Swain has become the champion of an International tournament and earned the distinction of being the first Odia player to have achieved such a feat. Lakhi won the title in Women’s segment in the Sixth edition of Ballentine’s Team-Am Golf Challenge held at Jakarta in Indonesia from September 8 to 10. Lakhi won a total 97 points and remained at the top of the Points Table of the three-day championship organised in Stableford Format. Her nearest rival Incho Dukuna finished with 73 points and bagged the second place. As many as 220 golfers from various countries across the world participated in the event which was held at three different golf courses. 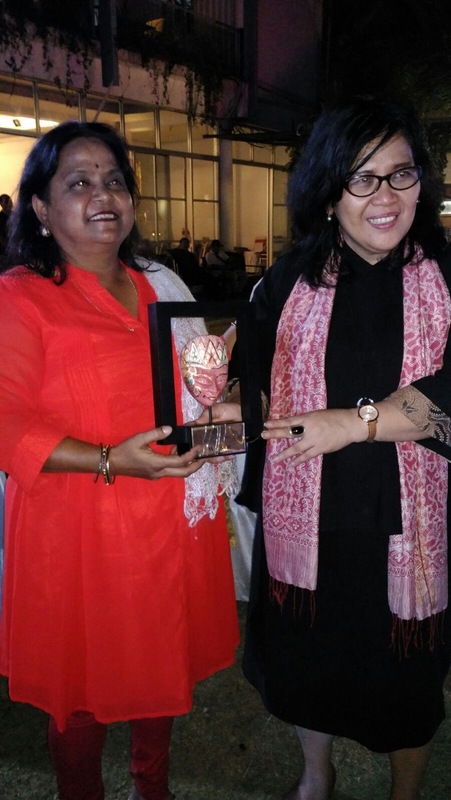 Lakhi received the winning trophy from the Tourism Minister of Indonesia.